The state treasurer is “raising the red flag” about state government finances. 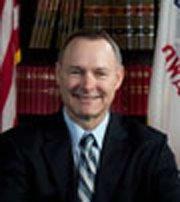 Michael Fitzgerald said the state had to dip into cash reserves to pay all its bills in April. April is a significant month in the state’s fiscal year. The state must make its monthly payment to public schools and another $325 million or so to health care providers who treat Medicaid patients. In addition, April is the month the state is writing tax refund checks before all the state income taxes owed to the state are paid. Fitzgerald, a Democrat who has been state treasurer since 1979, is asking Republican Governor Kim Reynolds to give her blessing to some “cash flow” borrowing. The state treasurer has the authority to sell short-term bonds to investors to raise money to cover cash flow problems. Fitzgerald said the state has engaged in cash flow borrowing “many times” in the past. He suggests issuing short-term state bonds in September. Governor Reynolds plans to meet with Republican legislative leaders soon to discuss the state’s troubling finances. The latest report from the non-partisan Legislative Services Agency indicates that over the last 11 months, state tax collections were $100 million below expectations. Reynolds says the numbers “fluctuate daily,” but she isn’t ruling out calling legislators back to Des Moines for a “special session” to enact a plan that ensures the state budget doesn’t slide into a deficit.